Apple’s new 9.7-inch iPad was unveiled on Tuesday at an event in Chicago. 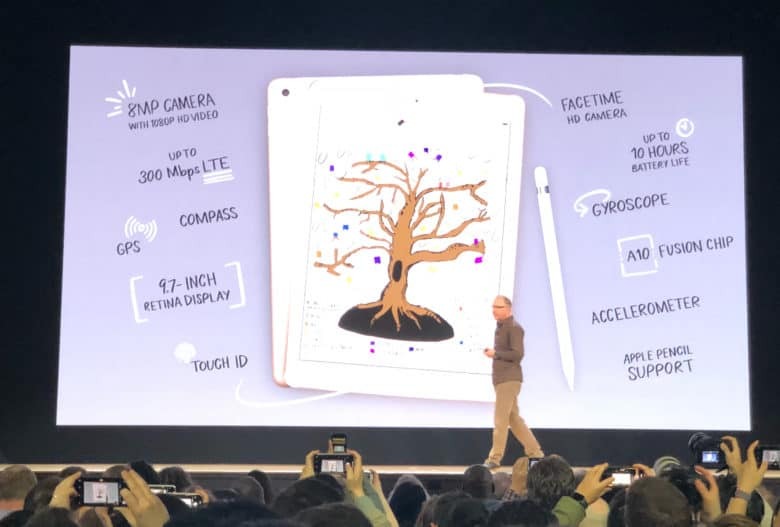 Aimed at the education market, the new iPad packs an A10 processor, Touch ID, 8MP camera and support for the Apple Pencil. Pricing on it starts at $329 for normal customers, but you can buy it for $309 if you’re a teacher, student, faculty or homeschooler. Storage starts at 32GB for the $329 model. The $429 model gives you 128GB of storage. There are also 4G LTE units available for an additional $130. Grab an iPad from your local Apple store. 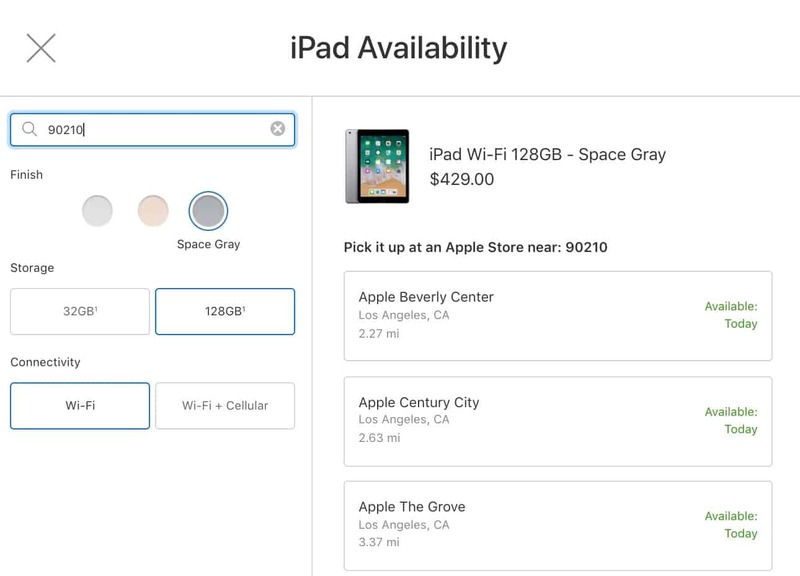 Units in all three color options appear to be widely available throughout the U.S. New iPads purchased through Apple’s education store can also be picked up in stores.